W. Sloan Goforth, Attorney at Law has the experience and knowledge to help clients in Statesville, NC and the surrounding areas with all of their will preparation needs. Will preparation is an important part of planning, and no age is too early to plan for this important step. Putting into writing your intentions and desires for the dispersal of your property, finances, and other effects will make sure your affairs are settled as you want. Because of the delicate and important nature of these documents, legal assistance is usually suggested in order to preserve the most of your estate and ensure the care of your family and loved ones over the long term. Because of the many pressures that can occur following a death and during the execution of a will, here are several things to consider before and during will preparation. What are your assets to be divided? This includes any real estate, investments, bank accounts, and other possessions. A complete list of these will help ensure that the property is directed where you intend it. What are your debts? A list of these, including mortgages, car loans, and other outstanding bills, will help you set aside a reserve to pay these off in the case of your death. The same goes for debts owed to you, and whether these debts are forgiven or collected by the executor of the estate. Who are your beneficiaries? This can include your spouse, children, other family members, and organizations or institutions you wish to receive all or part of your estate. You can be as specific or as broad as you desire. If you specifically want to omit someone from your will, this should be done specifically and in writing to show the executor and courts that this was not a mistake or typographical error. Who is the executor? This is an important choice, as this person will be responsible for the proper resolution of the will, including naming the guardian of any minor children and carrying out any special arrangements, including the care of pets, business enterprises, or other special circumstances. W. Sloan Goforth, Attorney at Law has the experience and knowledge to help clients in Statesville, NC and the surrounding areas with all of their will preparation needs. Contact us today to schedule your consultation. 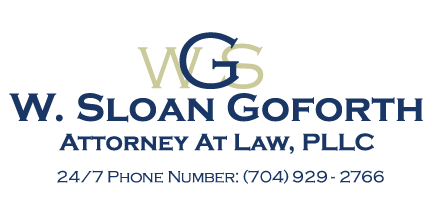 At the office of W. Sloan Goforth, Attorney at Law, we can help with will preparation for residents of Statesville, Troutman, Taylorsville, Mocksville, Mooresville, Hickory, Iredell County, Alexander County, and Davie County, North Carolina.